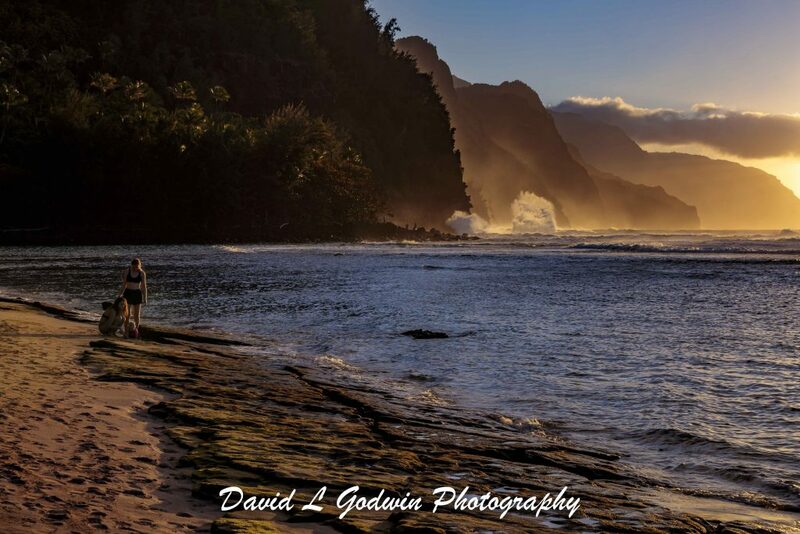 One of my best and most favorable places to visit when on Kauai is Ke’e beach. 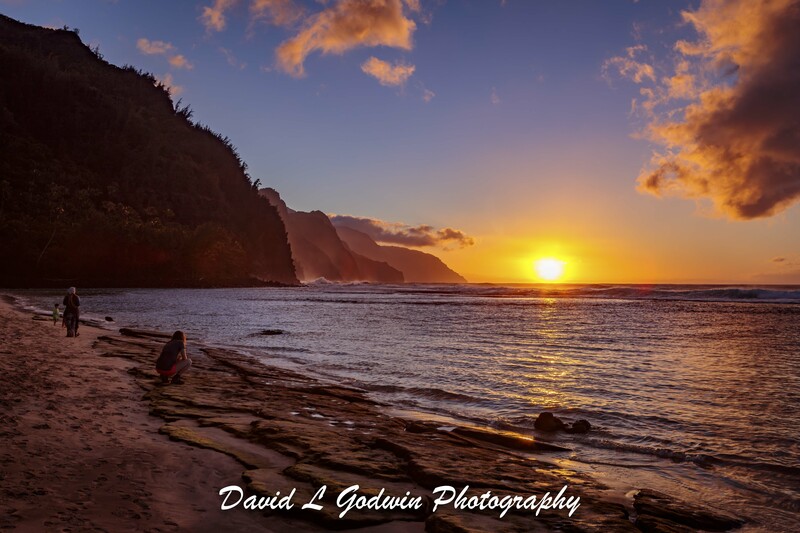 This beach is located on the northwest tip of the island and it provides you with a spectacular view of the Na Pali coast ! If you walk out along the beach to the north you can set up in a location that shoots back to the south and you can catch the coastline going back to the south. The first image in this sequence shows the sunset on Ke’e beach you can see the coastline and multiple ridges moving away from you. The person on the left side helps give scale and 3 dimensionality to the image and everything is bathed in the orange color of the setting sun !. The second image highlights the waves that develop on the south-side cliffs. In this image the key elements are the blue water of the embayment, the cliff lines heading down the south side of the island and the people on the left side giving scale to the image. The final image in this sequence is a zoom into the heavy surf and big standing waves that develop in this area. 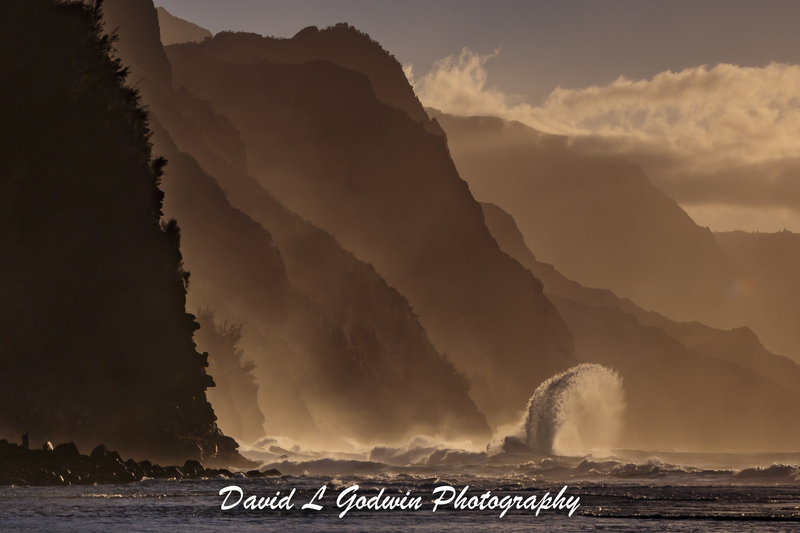 You can also see the multi layered cliff of the Na Pali coast going south into the image. We will come back and spend quite a while shooting these big waves !